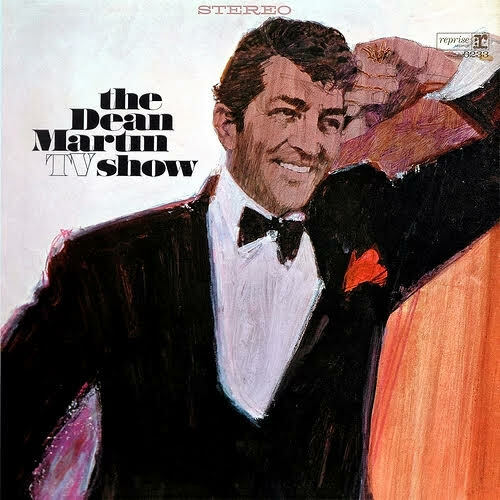 Recently, my wife and I rediscovered the Dean Martin Show on Youtube. For those of you too young to remember, Dean’s show was one of the most successful variety shows on television, and broadcast “in living color” on NBC on Thursday nights. The show ran for nine seasons (1965 to 1974). Due to his other entertainment obligations, such as movies, nightclubs and Las Vegas, Martin initially didn’t want to do the show. He demanded an exorbitant salary, refused rehearsals, insisted on a prime time slot, and only showed up on the day the show was taped (which was on Sundays). Surprisingly, NBC agreed to his terms and the show quickly became a favorite in America. We hadn’t seen the show in many years, but after watching the latest set of reality shows on television, featuring pimple poppers, obese women, hoarders, naked survivalists, and talent shows, I started fishing around Youtube where I came across the Martin show by accident. Since then, we have been slowly going through the catalog of shows and enjoying every minute. In hindsight, I think the reason for the show’s success was simply due to Martin’s on-screen playfulness, something appreciated by both men and women. In a way, the show was derived from his Rat Pack years in Las Vegas with Frank Sinatra, Sammy Davis, Jr., Peter Lawford, and Joey Bishop, all of which featured bawdy behavior and some rather outstanding entertainment. They were portrayed as “rascals” on the loose, which was carried forward by Martin on his show. Not surprising, Sinatra was a frequent guest on the show. The format of the Rat Pack shows called for the performers to be dressed in black tux and bow tie, which was standard issue back in the Vegas of the 1960’s. Dean carried this dress forward to his own show. Like many variety shows of the time, it featured singing, dancing, stand-up comedy, skits, and an occasional serious piece. In this way, it was like a vaudeville show from yesteryear offering a plethora of entertainment to suit just about everyone. The list of guests appearing on the Martin show represented a veritable “Who’s Who” of the entertainment world, featuring big name headliners, up-and-comers, and veteran entertainers in the twilight of their careers, all of which Martin had a fondness for. The show would certainly not be considered politically correct by today’s standards. Martin smoked incessantly, he put on a lovable-drunk shtick (he was actually quite sober), there was ribald humor, and scantily clad dancers a la Las Vegas, all of which would be criticized today as vulgar and sexist. Back then though, it was considered all rather classy and just plain fun; kind of like getting a sneak peak at a Las Vegas show back then. Today, the music would likely be considered archaic, the humor corny, and the dancing behind the times. Regardless, the show was a delight to watch, which explains why it was popular for so long. It also speaks volumes in terms of how our entertainment culture has evolved over the years. Today, it is a pleasant distraction from the political turmoil of the day. I’m not sure such a show would succeed today as we seem to be inclined more towards crass reality shows. Besides, there aren’t too many people who could pull off the Martin playfulness, sing well and be loved by the performers appearing on the show. The one exception might be Michael Bublé who has a fine voice and tries to have fun in his specials. If NBC ever approached him to do a similar show, I would recommend he demand an exorbitant salary, refuse rehearsals, insist on a prime time slot and only show up on the day of the show’s taping. Maybe then he could capture the magic of Dean Martin.